Elliott Skopin is a graduate of Wesleyan University where he attended school with MSG’s Executive Director, Max Perel-Slater. After working for several years after college, Elliott decided that he wanted to travel the world and made Shirati one of his stops. 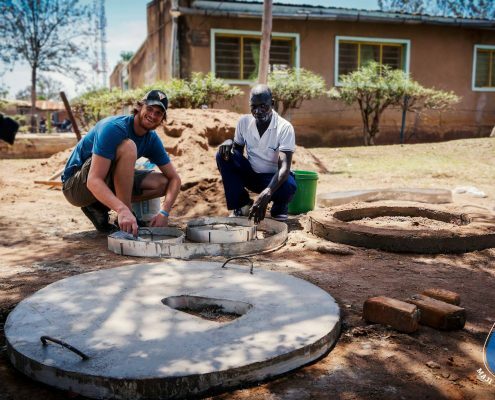 While in Shirati, he took on the Arborloo toilet project as a volunteer. Enjoy his blog about his experiences working with the MSG staff! If you have passed by Maji Safi Group’s office recently, you likely noticed a few new things – the Arborloo toilet standing in the side yard and a number of freshly poured concrete structures curing nearby. These items comprise the beginnings of an exciting project that will provide an affordable, long-lasting pit toilet alternative to members of the Shirati community. What is an Arborloo Toilet? An Arborloo toilet is comprised of a reusable concrete base, known as the ring beam and slab, and a portable latrine structure. The ring beam and slab – simple, inexpensive and durable constructions made from poured concrete and wire reinforcement – cap a shallow (1-2 meter) pit in which human waste is deposited. The four-walled latrine structure provides privacy and is intended to be moved and reused, along with the concrete components, when the hole is filled. However, the capped pit does not simply lay fallow. The composted waste provides a fertile plot in which a tree will thrive, hence the “arbor” (“tree” in Spanish) in Arborloo. The benefits of this system are numerous: It is inexpensive and simple to produce using readily available materials, the portable design is intended to last for many applications, and the composted human waste provides excellent fertilizer for a fruit-bearing tree or other planting. During my 6-week stay in Shirati, I had the opportunity to assist in the design and construction of the first Arborloo toilet at Maji Safi Group’s office. We benefited from valuable feedback from our community health educators, other staff, and members of the community as we worked on this first construction. We found that the concrete slab and ring beam, which have a fixed design, are reasonably easy to produce. The design of the outhouse structure, however, allowed for greater creativity and provided more of a design challenge. I very much enjoyed the collaborative task of finding a creative and affordable solution. In the end, we opted to construct the walls of Maji Safi Group’s latrine out of a variety of materials, including one section that is comprised of hundreds of plastic bottles picked up from the neighboring streets. 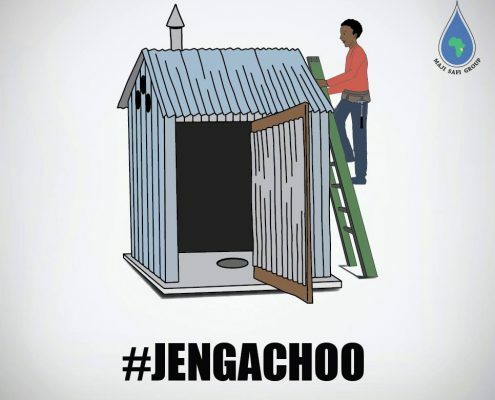 The design options are endless, and it will be exciting to see the ingenuity employed by those who construct Shirati’s newest Arborloo toilets in the coming months. 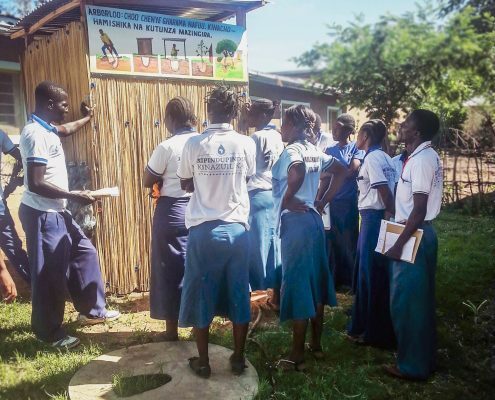 The Arborloo project is in large part due to the generous fundraising by students at Casey Middle School in Boulder, Colorado (Read Blog Here). Nearly a dozen new concrete structures are finished and will be transported to the homes of our community health educators whose families will be using their new Arborloo toilets in no time! Their valuable feedback will allow Maji Safi Group to refine the design and share the benefits of this system with the greater community. Before long, healthy fruit trees will stand where these first Arborloo toilets were sited. A big thanks to everyone at Maji Safi Group for their fantastic work in getting this project off the ground and for making my time in Shirati so wonderful. Mambo, mambo! Melissa and Eli here! We are both social work students at Washington University in St. Louis, but we will be spending our summer in Shirati working with Maji Safi Group (MSG). We arrived in Shirati two weeks ago, and within our short time here, we have already experienced so much! Initially, we arrived with a cohort of 10 other students from our university and partnered with MSG staff to study participatory methods of community development. Right from the start, we felt so welcomed by the community health educators! On the very first day, they sang us a welcome song and played some fun icebreakers with us. MSG staff took the initiative to greet us individually and tell us how happy they were to have us here in Shirati. 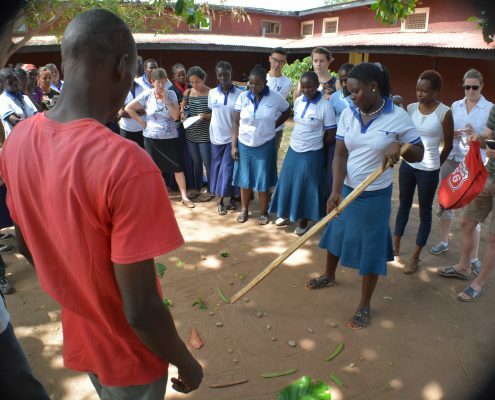 During the first week, we primarily focused on using participatory tools. We were highly impressed with the way the MSG staff picked up on these complex facilitation techniques and everything else throughout the whole process. We also had the opportunity to learn so much about both Shirati and St. Louis. At the wrap-up of the week, each student was paired with an MSG community health educator to spend the entire weekend at their homes and with their families. From what we heard from our classmates, everyone had an incredible time during their homestays and engaged in very unique experiences. Some classmates went out fishing on Lake Victoria, others fetched water, cooked, and even medically treated a cow – don’t worry, she is a vet! 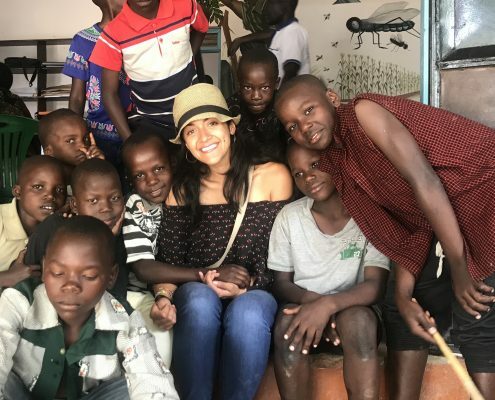 The best part of this experience, however, was coming back to class the following Monday and witnessing the relationships we had built and how close and comfortable we had become with one another. The second week, our real work got started! 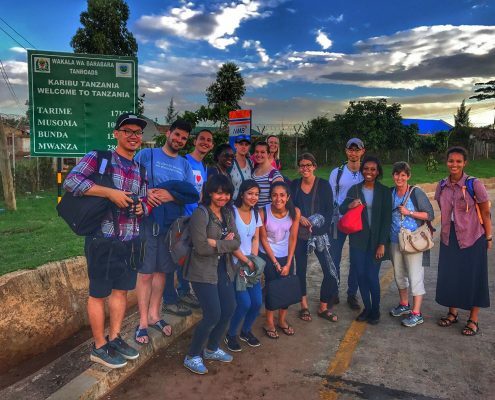 We broke into facilitation teams, made up of both Maji Staff Group staff and students, and ventured out to five different fishing communities around Lake Victoria. The communities where we conducted these practices were Minigo (also known as Mombasa), Kanga, Sota, Busurwa, and Masonga. Although each place was very different and had its own set of issues, we were able to identify common problems in all five villages. Through the participatory exercises, we were able to discover that concerns surrounding access to clean water, treatment of various diseases, and sanitation practices were major challenges in all communities. 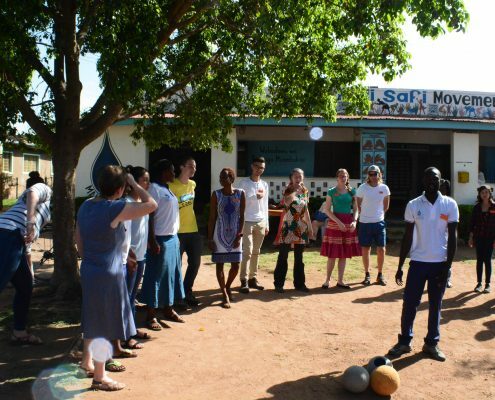 This was an excellent opportunity for Maji Safi Group to begin to map out ideas on how to bring their programs, which focus heavily on health education, to these communities as a means to meeting their needs. Our week ended with a celebratory party during which all MSG staff members were presented with certificates acknowledging their progress in learning about participatory development, gifts were exchanged, and lots of dancing took place! Even though we are sad to say goodbye to our instructors and classmates, we are looking forward to continuing our work with each of these communities because the truth is, that there is still so much more to do and uncover, and we are just getting started! Stay tuned for more stories throughout the summer….